We're sorry if you are having issues with your Fitbit or Jawbone device that is synced to your Real Appeal Effect account. Some common issues and how to resolve them are described below. Please review this information, and as always, we are here to help you if you need additional assistance. Please give us a call at 1-844-934-REAL (7325) or email us at effect@realappeal.com and one of our team members would be happy to assist you. We're available Monday through Friday between 4 am and 8 pm Pacific Time. Why is Fitbit Calories Burned showing as zero (0) in my Real Appeal Effect tracker? 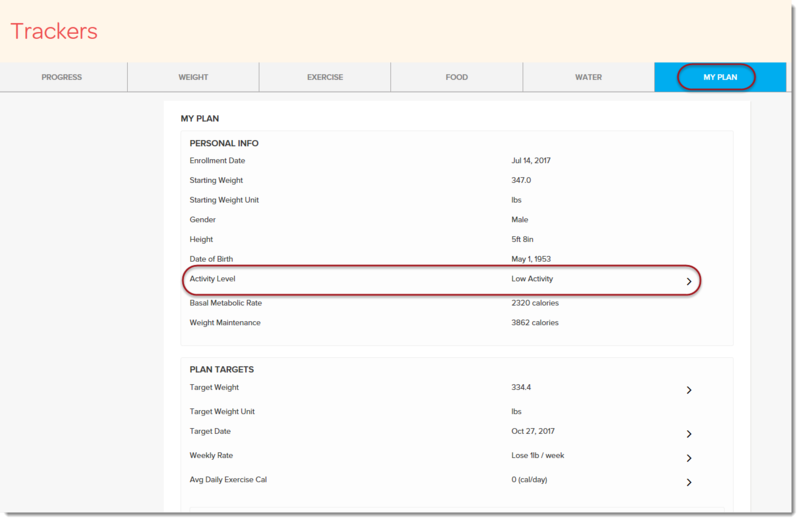 Included with the Real Appeal Effect tracker is a plan with daily targets for metrics such as calories burned. When syncing a Fitbit device, the application needs to reach your minimum calorie burn each day in order for it to stay on target. Enter your calories burned manually in the Real Appeal Effect tracker. To do so, create a custom exercise in the tracker. 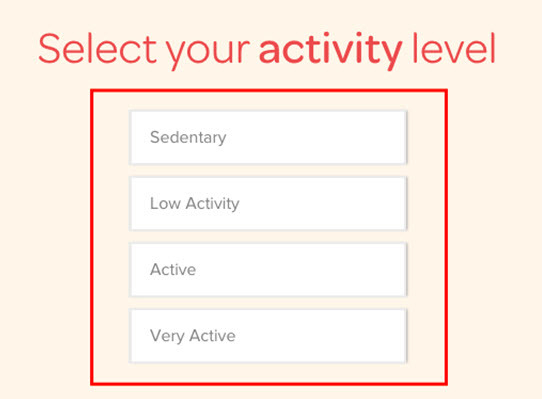 Reduce your activity level in the Real Appeal Effect tracker to the lowest setting. 1. Navigate to Trackers > My Plan. 2. Click the arrow button (>) in the far right of the Activity Level line. 3. Click on the appropriate activity level. Definitions of each activity level are found below. Sedentary activities above PLUS 30-60 minutes of MODERATE activities (e.g. walks 2 miles at 3-4 mph). Sample occupations: school teachers, cashiers, retail workers, and stay-at-home parents with active children. While the Real Appeal Effect tracker and Fitbit do not work exactly like each other, syncing your Fitbit device is a great way to take advantage of automatically captured data and it provides our coaches with valuable information. If you continue to have difficulty with your synced device, please contact us at 1-844-934-REAL (7325) for assistance. Our hours of operation are Monday through Friday between 4 am and 8 pm Pacific Time. Why isn't my Fitbit data transferring to the Real Appeal Effect tracker? In order for your Fitbit to sync properly, food calories must be entered at least once every 3 days in the Real Appeal Effect tracker. See the Register and Sync Your Fitbit or Jawbone article for additional help. Your Fitbit will resume transferring data to the Real Appeal Effect site within 24 hours. Chose the same time zone on both your Real Appeal Effect tracker and your Fitbit. Ensure your body weight, gender and date of birth settings are also the same between the Real Appeal Effect and Fitbit sites. On the Real Appeal Effect site, ensure that your Plan Target for Weekly Rate is set to "Lose" (instead of "Gain"). To update that setting, go to Tracker > My Plan. If you continue to have difficulty with your synced device, please contact us at 1-844-934-REAL (7325) for assistance. Our hours of operation are Monday through Friday between 4 am and 8 pm Pacific Time. How do I track my Fitbit/Jawbone steps instead of my iPhone steps? Go to "Motion & Fitness." Your Fitbit/Jawbone will sync to the Real Appeal Effect site/app within 24 hours after turning off Fitness Tracking on your iPhone.